Kenneth Camplin, then aged 44 years, was reported missing by his brother on 30 December 2013. His friends and family became concerned for his welfare after they could not make contact with him. They found his home unsecure and his dog in the back yard near death due to dehydration and starvation. Kenneth was very security conscious and had security cameras installed on the outside of his home. He always locked his doors when he left the premises but the back door was found to be unlocked. He doted over his dog and would not have intentionally left it to suffer for an extended period. His phone has not been used since and his bank accounts have not been accessed. Kenneth was known to be a recreational drug user and a low level supplier of drugs to some of his close associates. If you have information that may assist police please call Crime Stoppers on 1800 333 000. 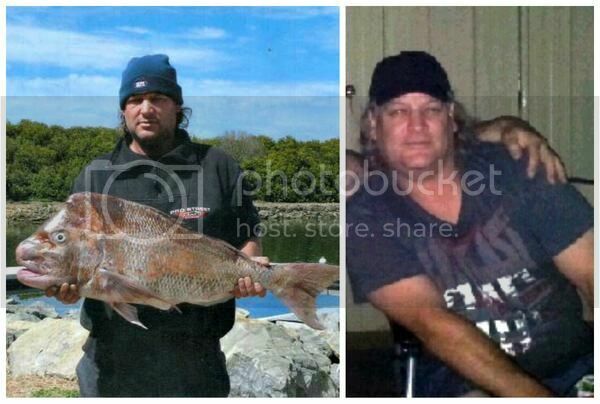 As part of this year’s campaign, SA Police are appealing for public assistance to help locate long-term missing persons, including Kenneth “Kenny” Camplin. To coincide with National Missing Persons Week, SA Police is rolling out four billboards and 40 taxi advertisements featuring Mr Camplin and Mr Sheppard. 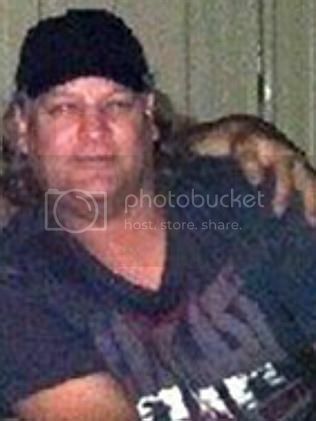 Kenneth Camplin, then 44, was reported missing by his brother on 30 December 2013. He was last seen alive at 12.25am on the morning of Friday 27 December 2013 at a fast food restaurant drive-thru at Paralowie. Police believe Mr Camplin then returned home, as his vehicle and the restaurant receipt were found at his home address. Mr Camplin’s phone has not been used since, and his bank accounts have not been accessed. If you have any information relating to Mr Camplin's disappearance, or any long-term missing persons, please phone Crime Stoppers on 1800 333 000, or report online at sa.crimestoppers.com.au – You can remain anonymous. MISSING Paralowie man Kenneth Camplin left his dog without food and water and the back door of his home open before vanishing without a trace. Mr Camplin, known usually as Kenny, disappeared some time after waving to two unidentified men outside his Elder Crt home at 11am on Boxing Day. The mystery men were described as thin with dark hair and aged in their 20s. Four days later, his brother and a friend found "Kenny's'' back door open and his "beloved'' border collie-cross pet dog starving and thirsty. The dog is now being cared for by friends. Emotional friend Rob Gibbs, who has known Kenny since their school days, said in a videoed interview that leaving the dog starving and the house unlocked was "totally out of character''. Mr Camplin, 44, was close to his mother and several brothers. Major Crime Detective Inspector Greg Hutchins said police had grounds to suspect he had met with foul play. Police particularly want to speak to the men seen leaving Mr Camplin's home on December 26. "(The) investigation has uncovered a few things which lead us to believe he has been the victim of foul play,'' Det-Insp Hutchins said. Det-Insp Hutchins would not release the details that led police to declare the case a major crime but said the unemployed Mr Camplin had no known history of drug taking or debts and no serious criminal convictions. He also did not have any health issues to indicate he had depression. Police said their concern for Mr Camplin was heightened because he was "very security minded and doted on his dog". "He always locked his home and would never leave his dog to suffer,'' Det-Insp Hutchins said. Elizabeth police say they have conducted extensive investigations - including accessing Mr Camplin's bank and telephone records - without turning up a trace of his whereabouts. "We are really concerned about this missing person (because) no one has heard anything, and I mean anything, from him at all,'' Detective Chief Inspector Krystina Koza said at the weekend. Chief-Insp Koza said Mr Camplin usually stayed near his home and kept to himself. "We're just very, very concerned that this guy has gone missing," she said. "Police have done extensive inquiries at places where he has visited or gone to in the past and we have got absolutely ... no sightings or communications from him since the 26th. "He'd go camping but we have explored all of those (locations) and found nothing at all. 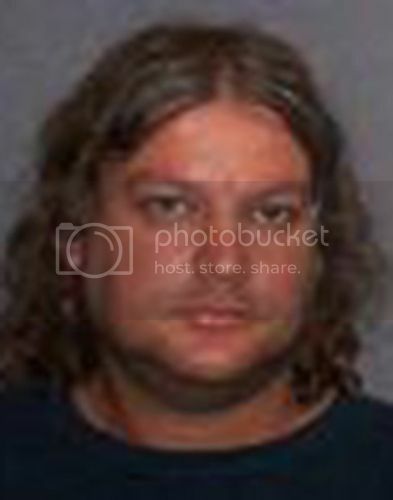 Mr Camplin is 175cm tall and weighs 120kg with blue eyes, fair complexion, shoulder- length brown, wavy hair and is usually unshaven. TWO men believed to be involved in the disappearance and suspected murder of Paralowie man Kenneth Camplin are lying to police, Major Crime detectives say. The suspects were know to “Kenny’’ Camplin, 44, who was a “social’’ user and supplier of illegal drugs, but they are not coming clean about their full involvement with him, police say. Mr Camplin vanished from his Elder Crt St home - where he lived alone - on December 27 last year, leaving the back door wide open, his car in the driveway and his beloved dog to fend for itself. The dog was “near starvation’’ and thirsty when found several days later and taken into care, police said. “We have two suspects who have been spoken to. We believe they are not being truthful with us,’’ Major Crime Inspector Greg Hutchins said. “It’s time to try to generate some further information and time to further advance the investigation. Two other men seen at Mr Camplin’s house during the morning of December 26 have been ruled out of the investigation. Police have released CCTV footage from a fast-food restaurant drive-through, showing the last known sighting of Mr Camplin, about 12.25am on Friday, December 27, — a few hours before he disappeared — and a separate photo of Mr Camplin. Insp Hutchins said the motive for his suspected murder was not known but his involvement in illegal drugs “cannot be ruled out’’. “There was no reason for him to go missing,’’ he said. “He loved his dog, the dog was near to starvation when found and (Camplin) just disappeared off the planet which does (lead) us to believe he was the victim of foul play. Mr Camplin has not used his bank or other accounts since going missing. No obvious signs of force were found at his home but forensic evidence was being analysed. Detectives have spoken to many of Mr Camplin’s friends and associates to “develop a snapshot of his life’’. “That snapshot has indicated he was a social user of illicit drugs and occasionally he would supply his friends with drugs,’’ Insp Hutchins said. Insp Hutchins said it was important for anyone with information about Mr Camplin to come forward and assist investigators to locate his body and identify his killer, or killers. Information can be given anonymously to Crime Stoppers on 1800 333 000 orwww.sa.crimestoppers.com.au.